One woman in Burundi, an entrepreneur, designed a backpack made of colorful fabric. An artisan at her co-op made the prototype. Another made some sandals out of indigo leather to match. All in a day’s work for these women who work with their heart and hands creating goods for the local market. A small idea emerged—backpacks and shoes for students at a rural elementary school. The idea grew into an initiative with the help of other women (and men). One woman connects with another and in time, more hearts and hands are at work. Women in Canada begin conversations over coffee—maybe they could help. Over skype and more cups of coffee the circle widens. Plans hatch. 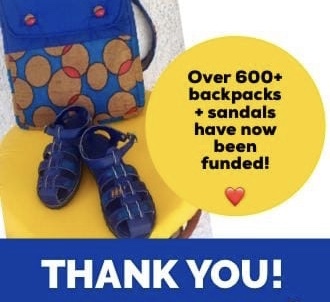 It would be a stretch to fund 600 backpacks and 600 pairs of handmade sandals. The risk required mustard seeds of faith. It also required time to rise. 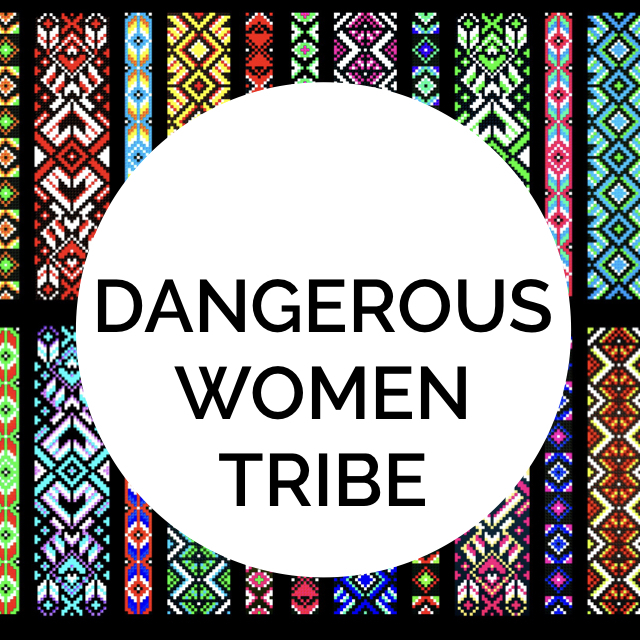 Three months the women prayed—and waited. All of this work seemed slow and silent. No one knew what the women knew. The days appeared ordinary, the women’s work normal and unworthy of attention. Just like no one noticed the woman kneading yeast into copious amounts of flour. One morning in February the initiative to outfit students in Bubanza with backpacks and shoes hit social media. For $15 we could provide a set for each student. We could provide job security for artisans in Burundi. But it would take many hands, many hearts. Women shared with their friends. Mothers told their daughters. Some told their congregations. Gradually the funds started coming in. Each night we’d check the days total, like women watching for the second rise of dough. Did we work enough yeast in? Did we knead enough? One backpack at a time, one pair of sandals at a time, one donation at a time; it doesn’t look like much to the naked eye. Maybe we even take the shoes for granted, the way we take the necessary nourishment of daily bread for granted. But those sandals combat parasites in the soil making them a weapon against the perpetual sickness these students often battle with. So each woman makes what she can to help who she can. And hidden in plain sight, the bread rises until it spills over the sides of the bowl. Once it is all baked off, there will be more than enough for all the students in Bubanza and artisans in Burundi. There will be enough for the 600 students now and the nearly 200 new students come September. There will be some measure of job security for the artisans who will make the backpacks and sandals. We kneaded more than enough. 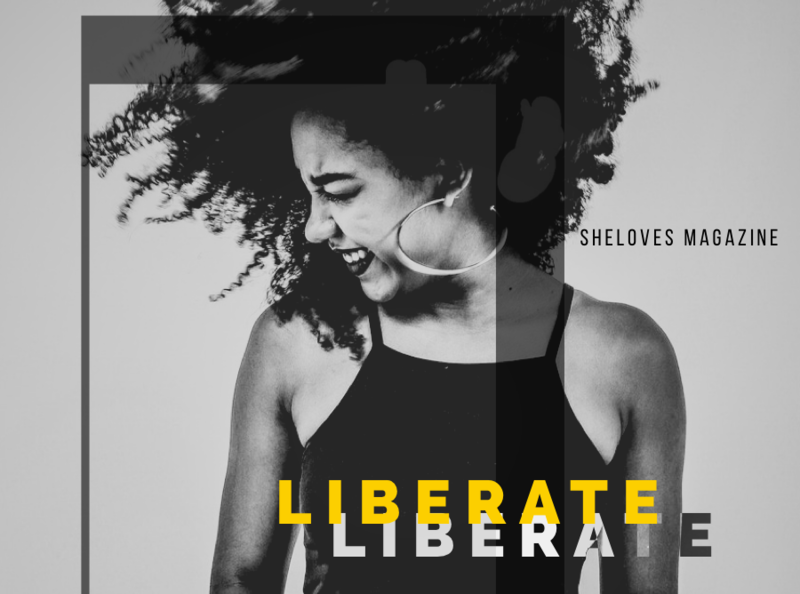 Watching the SheLoves community and all her sisters from Vancouver to Houston, from Phoenix to Philadelphia, from British Columbia to Burundi work together reminds me of the that lone woman in the parable Jesus told. While the world went its way, the woman worked with what she had to make provision for her neighbors. The result then was more than enough bread, so much so that I imagine she fed her hungry neighbors and the street children she passed each day walking to the market. That seems to be the outcome now, too. More than enough backpacks and shoes and love to outfit an entire school of students! While the world went its way, the woman worked with what she had to make provision for her neighbours. In years of development work it comes as little surprise to me that women participate in the generous abundance of God. Not always with massive campaigns, but most often with ordinary tasks or, as Mother Teresa once said, “small things done with great love.” And it is that great love that the Spirit infuses, those small acts of our hearts and hands that the Spirit blesses so that we can bless our communities with daily bread. Before Jesus multiplied the loaves and fish, before He instructed his disciples to distribute the abundant provision, one woman did it naturally. 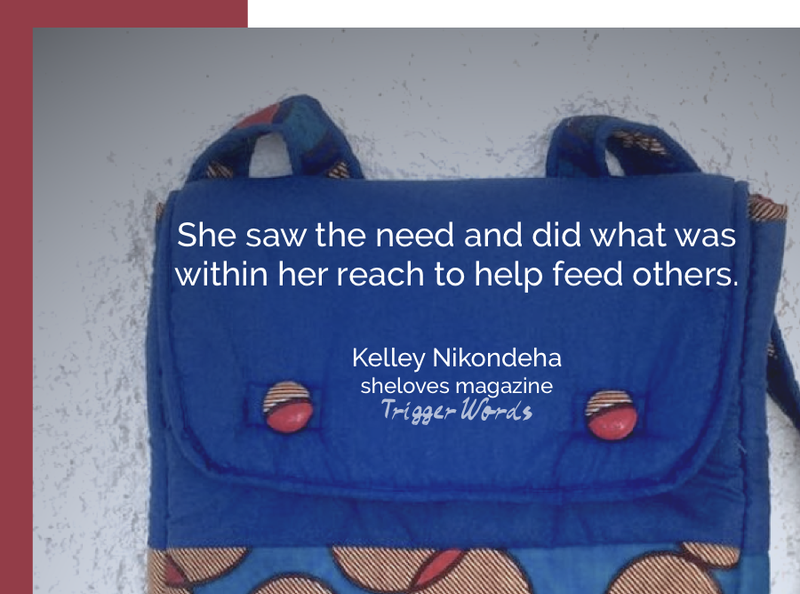 She saw the need and did what was within her reach to help feed others. She trusted the Spirit would empower her hands. God entrusted her with abundance. I believe that God entrusts us still. I want to offer a special word of gratitude to the SheLoves sisters near and far who have done small things with great love for the people of Burundi. Your mustard seed faith plants trees that birds will nest in; your hands knead yeast into flour making more than enough bread for hungry bellies. You do Kingdom work. Claude and I are so grateful for the ways you gave and sacrificed. We are ever grateful to God for blessing your hands and providing abundance again. We know that the Spirit empowers women still—we’ve seen Her at work in you! May the Spirit continue to empower women who use what they have at hand to respond to the needs of the world.